Part of the Macaulay spreasheet presented in recent posts required the formation of a list of points along a beam where the functions needed to be evaluated. These are: The support points, the changes of cross section, and the output points specified by the user. These points are in three separate arrays which must be combined into one, maintaining the correct order from left to right, and without duplication of any point. Press Ctrl-Shift-Enter to enter as an array function. 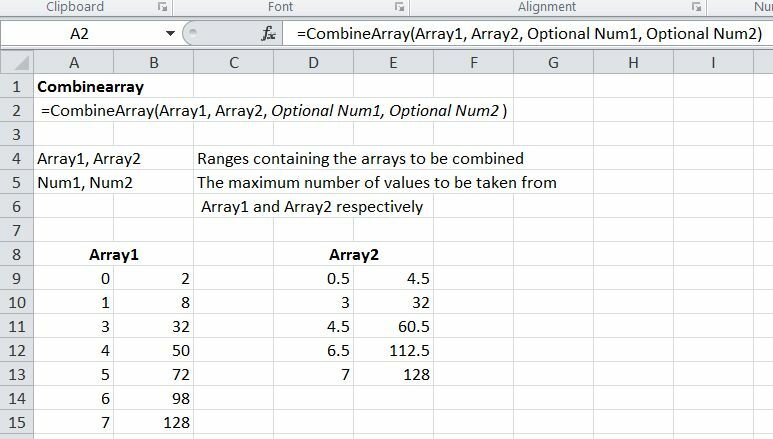 This entry was posted in Arrays, Excel, UDFs, VBA and tagged combining arrays, Excel, UDF, VBA. Bookmark the permalink. That is great formula but it doesn’t work in my case, where List1 and List2 are not fixed values in ranges cells but List1 and List2 are themselves created with complicated formulas like =IFERROR(INDEX(ROW(3:10)-ROW(3:10); ROWS(C$1:$C3)); IFERROR(INDEX(ROW(4:5)-ROW(3:4); ROWS(C$1:$C3)-ROWS(ROW(3:10)-ROW(3:10))); “”)). This is a complicated formula for a single cell. Marko – can you give more details about what you are wanting to do? Maybe there is a simpler way. Neat formula, but it does something different to the UDF. 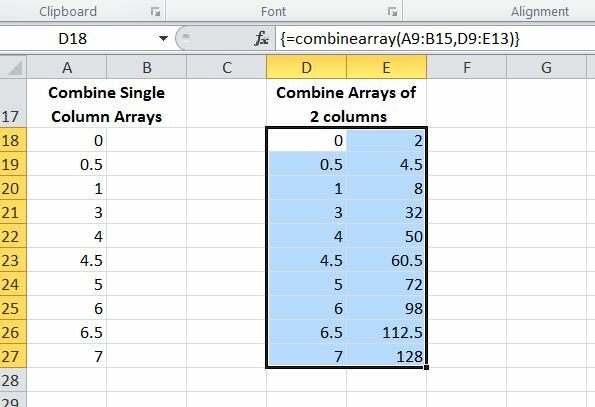 It combines two nx1 arrays into an nx2 array, whereas the UDF outputs an array with the same number of columns as the widest input array, with no duplicate values in column 1. See today’s post (7 Jan 2012).